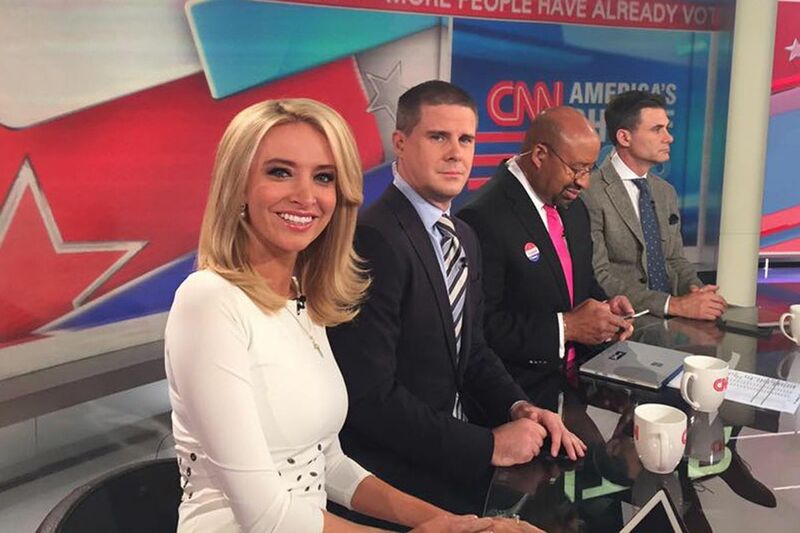 CNN commentator Kayleigh McEnany (left) announced on Twitter she is leaving the network. Kayleigh McEnany, an outspoken supporter of President Trump, has left CNN. On Saturday morning, McEnany announced on Twitter that she "will be moving to a new role." She also updated her bio to note that she is a "former CNN commentator." McEnany didn't indicate a reason why she was leaving CNN, though sources familiar with the situation say she asked to leave the network for another opportunity. CNN declined to comment about McEnany's departure. Back in July, McEnany defended President Trump after he tweeted out a gif showing him punching and body-slamming an opponent meant to represent CNN. McEnany was also forced to apologize after wrongly claiming President Barack Obama played golf after Wall Street Journal reporter Daniel Pearl was murdered by terrorists. Obama was still just a state senator in Illinois when Pearl was captured and killed in 2002.